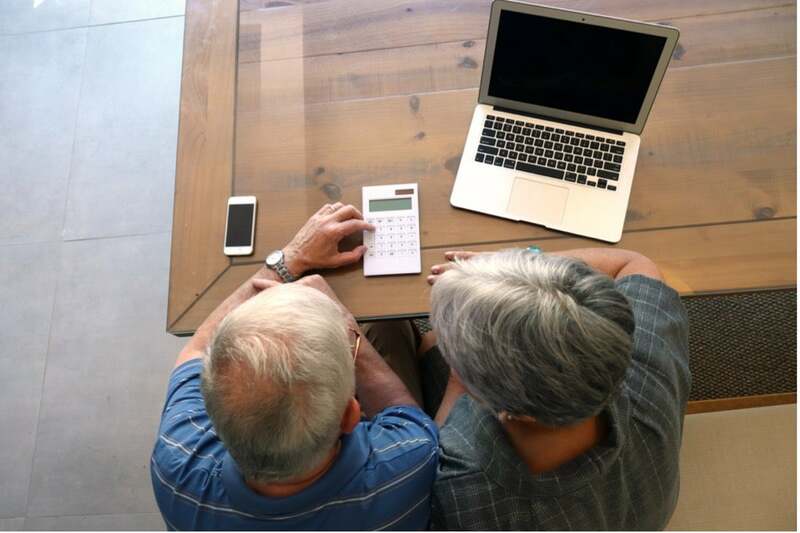 The 43% of the American workforce without access to a 401(k) or 403(b) retirement plan look for other tax-deferred alternatives, including IRAs, SEPs, Roth IRAs or mutual funds. A less well-known alternative is the 26f plan. 26f refers to the U.S. Tax Code 26, Subtitle F section of the U.S. tax code. The section lets retirement plan be used as an investment that builds cash and offers tax advantages through a whole life insurance policy or universal life insurance policy. 26f-type plans are also be called 7702, 770 or interest-bearing life insurance policies. Life insurance is important for people who have families, financial obligations and/or business partners. No one wants death to bring financial hardship on those who depend on them. As such, people pay for life insurance to ensure that when they pass, their families and/or business partners won’t be left financially stranded. Term life insurance is the simplest of the two categories. It’s also the least expensive. Term life insurance doesn’t accumulate cash value, so it’s not suitable for 26f treatment. Permanent life insurance is the category that lends itself to a 26f plan. The premiums are higher, and the policy builds cash value as a result.Policies most often start at a cash value of zero and slowly build up. Whole life and universal life insurance are subcategories of the permanent life insurance category. People who use the 26f feature can take a different approach. They don’t necessarily buy the policy to avoid risk, but to take advantage of the investment benefits. It’s common for people to buy a permanent insurance policy in several payments. However, it’s also possible to prepay for the policy with a single payment. Over time, the insurance company invests the policy money paid upfront or in installments and the policy—similar to any other investment—grows in cash value. Any amount earned over and above the initial investment value is tax-free as long as the policy remains open. When the insured dies, that tax-deferred amount passes to the beneficiary. And the amount received by the beneficiary isn’t subject to income taxes. If that tax-deferred amount passes back to the insured in any way, however, it is taxable. An example might be the insured cashing out on the policy before he/she passes away. This use isn’t uncommon for these types of plans, which are often used as an investment for the insured and not as a life-insurance policy. The growth and tax advantages of a 26f plan are real. Insurance companies invest the money from these plans fairly conservatively. Conservative investing causes the cash value to grow slower than with other investments, but it can also ensure it’s more likely to grow than with some higher risk investments. Including prepaid life insurance policies in diversified investment portfolios can make sense. A certified financial planner can help you with an investment portfolio that includes a life-insurance plan. What determines how much compensation you receive? Good investment advisers will divulge their commission without asking. Some charge for their time. Others who manage the investments charge a small percentage of the asset value. Still, others receive a part of the commission on trades they generate. On the surface, paying the adviser out of the commission sounds like the logical thing to do. The problem is that the adviser may only earn a commission from trades. That may make it difficult to get the adviser’s attention when the need doesn’t involve a commission. This difficulty is why many people choose a paid adviser. It lets the adviser focus on the investor and investments, not on commissions. Life insurance agents receive a commission on policy sales. Asking the question is still a good idea. Investment advisers frequently have one or both of two common certifications. They’re certified financial planner (CFP) and chartered financial consultant (ChFC) certifications. Other common certifications include certified public accountant (CPA), certified financial analyst (CFA) andchartered investment counselor (CIC). For life insurance agents, chartered life underwriter (CLU) is an essential certification. What services do you offer people in my situation? Some investors have special financial issues. They may need the services of advisers with the appropriate experience. Investors must question those advisers about their qualifications. Investors who don’t need specialized financial advice have a more straight forward task. They should discuss their situations with advisers. They should also consider the adviser’s qualifications and experience. For life insurance agents, the discussion is entirely about a life insurance product. How has this investment performed over time? This information should be available for every investment. If the people promoting it can’t provide a clear answer, walk away. Something is wrong. A financial adviser should be able to explain how policy cash value grows over time. The adviser should also have examples of potential growth. It’s likely that the growth rate is similar to bank CDs. Request details. Also, don’t feel pressured to commit right away. The benefits of owning permanent life insurance won’t be gone the next day. The relationship between investors and advisers is all about value. For the adviser, the challenge begins once the initial portfolio setup is complete. Changes after that are likely to be small and infrequent. Investors may start to believe that the services of the adviser aren’t worth the expense. When interviewing an adviser, ask how the relationship will work going forward. Good advisers stay in communication with investors. They provide value wherever and whenever possible. Advisers should do at least an annual or bi-annual check in with you and review your situation and your investment(s). For life insurance agents who aren’t financial advisers, relationships may end with the sale of policy. At that point, all the plan attributes are in place. There’s nothing agents can do to improve the policy—it is what it is. Still, it never hurts to ask what comes next. Depending on your financial situation, a 26f plan may make good sense for you. It’s not likely a single solution though. It makes sense as part of your greater investment and retirement plan. If you have access to an employer-sponsored 401K or similar plan, consider it as well as a 26f plan and an individual IRA. That way you can diversify your portfolio and ensure you’re sitting pretty when retirement comes. Asset preservation and growth doesn’t just happen. It requires the best financial advisers, tools and services available. You’re doing this for yourself, your family and your heirs.